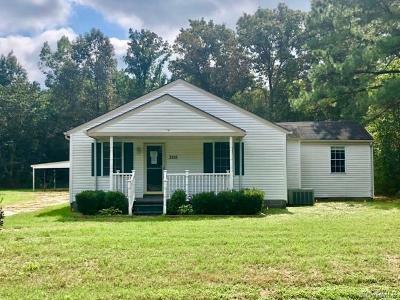 Cute 3 bedroom, 2 bath bungalow located on one acre lot and close to Interstates 95 and 85 and Route 460. Exterior with vinyl siding, front porch and rear deck. Also included is a detached one car garage with attached carport. Directions: 95 To Rives Rd.